Here’s a video from the Where the Mugic Happens gig last year of A Wounded Bird. And here’s the recorded version from Soundcloud. 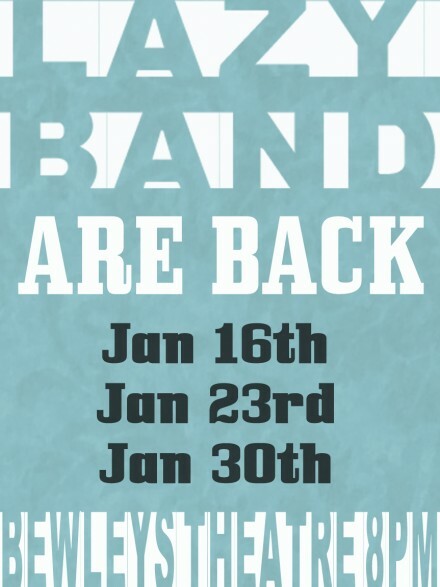 So the Lazy Band have decided to get going again after the break and we are playing 3 wekkly gigs before changing to a monthly schedule to change up things a bit for 2012. So come on in to Bewley’s on Grafton Street and join us! It’s FREE IN.